Click to sign our mailing list for updates, audition notices, and news for all our events. Show us some love! Click our magnificent actor to make a donation and be part of our work. Thank you from all of us at FPTC! Over the past 12 years, we’ve enriched our community with more than 125 timely, thought-provoking, and wildly experimental works, thanks to the generous support of individual donors like you. 2019 offers up another ambitious season of extraordinary performances that you won’t see or experience anywhere else. Help keep creativity flowing through the channel by making a donation today! 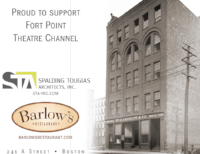 Fort Point Theatre Channel is a member of the Fort Point Arts Community & StageSource. 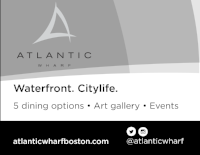 Fort Point Theatre Channel is supported in part by a grant from the Boston Cultural Council, a local agency that is funded by the Massachusetts Cultural Council, administered by the Mayor's Office of Arts and Culture.